As the weather continues to improve we have lots going on every weekend and this Sunday sees our first Waitawa MTB Working Bee on the same day as our Saint Cycles Auckland XC Championship. So if you’re not the racing type and would like be shown the trail network and to help out building new trails on this great network, then here are the details. Akld MTB Club advocate Gabb has been involved in this park from before it’s opening in 2014 and will be running the day which will start with ​him showing us around on a few varying circuits of the network as well as the new hand-built trails we will be working on. 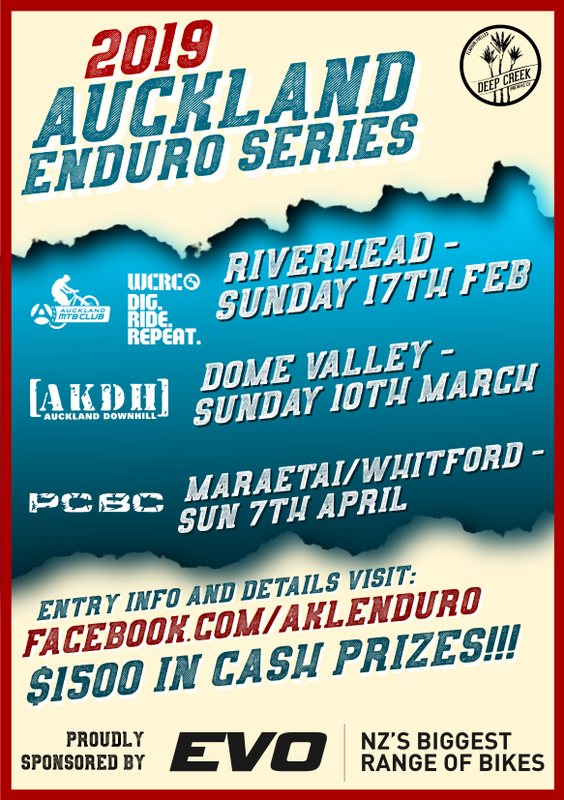 If you wish to take part in the ride, be at the Waitawa MTB Carpark and ready to ride by 8:30am. We will be returning to/meeting at the same place at 10:30 to start the trail work which is close to the MTB Carpark. Like our excellent Hunua Working Bees, the club will provide a high energy lunch for you if you RSVP to Gabb by Saturday afternoon. We will then work on for another couple of hours before calling it a day and heading back to the carpark for the Auckland Council and trusty Ranger Stan to provide us with a BBQ feed to refuel your tired body and chat about all things MTB. Our disc golfing friends will be there too working on their part of the park (which we will ride through). Sturdy footwear – we are build new trail here. Gloves. Water. We will have plenty of Auckland Council provided tools but bring your favourite spade if you wish (just make sure you take it home with you!). So if you want to be part of the action do let Gabb know by emailing waitawa@freakystyley.co.nz or calling/texting him on 0220 789539. If we do well enough the new trail might just be opened immediately.